George Osborne, editor of the Evening Standard. Image, YouTube, fair use. In the wake of our damaging revelations about a lucrative “money can’t buy’ deal with Uber and Google, George Osborne’s London Evening Standard has denied it has ever put a price on independent news and comment. 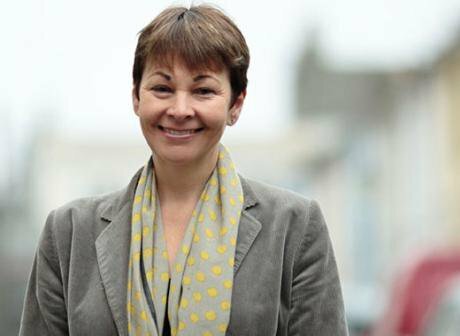 But Green Party leader Caroline Lucas says the Standard’s claim never to have “crossed the line” dividing editorial from advertising does “not stack up” after she examined coverage from a paid-for news deal with Swiss agri-chem giant, Syngenta. Osborne, the former chancellor of the exchequer who took over as editor of the London free-sheet last year, is facing calls to resign, and for the paper to be banned from valued distribution points outside London’s huge underground tube network. The widespread criticism of Osborne and his editorship follows an openDemocracy investigation which revealed details of a £3 million deal between ESI Media – the commercial division of the Standard and Independent online – and six major companies each paying £500,000 to secure, among other advertorial promises, “money-can’t-buy” positive news and “favourable” comment pieces. The international taxi-app firm, Uber, and the global tech giant, Google, are two of the companies who signed up to a project called London 2020. Due to be launched on June 5, 2020 has a highly political social agenda involving clean air, a reduction in plastic pollution, a schools and work-tech programme and improvements in housing. Although the Standard and ESI Media this week claimed “independence” was at the heart of “everything we do”, in 2017 the in-house ‘ESI Live’ events team concluded a “partnership” worth upwards of £100,000 with Syngenta. openDemocracy investigated the Syngenta deal earlier this year. A series of effectively one-sided public “debates” on the “Future of Food” was chaired by the then editor. Staff news reporters covered the debates for the paper, which heavily pushed Syngenta’s food technology credentials as a producer of genetically modified (GM) crop seeds. And crucially, positive news coverage of Syngenta and its pro-GM agenda was published in the news pages of the Evening Standard, with no indication to readers that this was part of a paid-for deal. Although the one-sided debate coverage was branded with the Syngenta logo, other articles published in the news section carried no branding. In one piece, headlined “Hungry for solutions: scientists trying to satisfy London’s soaring demand for food” the Standard’s news and technology correspondent praised Syngenta, its laboratories, its net income, and the benefits of GM. It stated that those who fear GM have a “suspicion of technology.” It reads like a PR hand-out – with readers never explicitly told this was paid-for news. Throughout the entire period of the deal with Syngenta, the Standard carried no details of a multi-billion law suit the company was facing in the United States, and no reference to the large scale lobbying being conducted by the firm over the potential changes in food laws likely to follow the UK’s exit from the EU. Earlier this year at a festival of international journalism in Perugia, Italy, a senior executive from Syngenta, Luigi Radaelli, the company’s head of strategy and business sustainability, took part in a debate on “fake news”. Syngenta said it had chosen to take part in the debate to “promote proper scientific information at all levels.” No mention was made of its commercial deal with the Standard for positive news and comment during the public debates and in the pages of the London paper. The Evening Standard and Independent online are owned by Moscow-based oligarch, Alexander Lebedev, and run in London by his son Evgeny. The “partnerships” for London 2020 are expected, according to a company source, to follow a similar pattern. The coffee giant, Starbucks, confirmed to openDemocracy that it had “met with ESI but had opted not to move forward with the project.” A senior executive called the idea of “buying” a reputation “PR death”. No response from either Uber or Google has been received by openDemocracy at the time of publishing. The response to openDemocracy’s investigation of London 2020 has ranged from anger to astonishment. 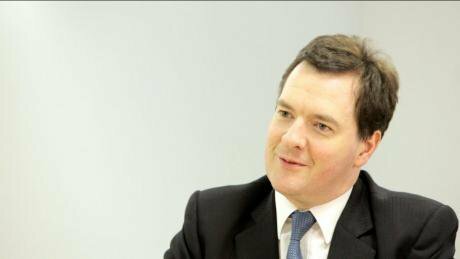 Many focused on Osborne crossing an established ethical line. Tom Watson, Labour’s deputy leader, tweeted: “This is cash for column inches and amounts to a corporate fake news factory on a grand scale. If even vaguely true, George Osborne’s position as a credible editor is under serious question today." The Times columnist, Jenni Russell, said that Osborne “should resign”. She called the commercial details of the 2020 deal “unbelievable”. The former newspaper executive and media consultant, Grant Feller, writing in the Guardian, said Osborne’s multiple business interests had left him “compromised” as an editor and someone no longer worthy of being trusted. Tom Copley, Labour’s housing spokesman on the London Assembly, said he would be asking London’s mayor, Sadiq Khan, whether it was appropriate for the Evening Standard to continue to be distributed at tube stations.